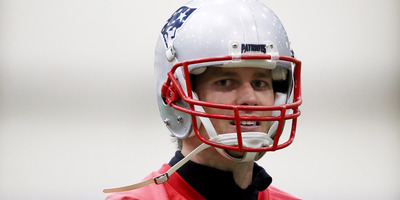 Tom Brady arrived at the Super Bowl wearing a heavy coat, turtleneck, and sunglasses. The Twitter world quickly roasted his outfit. Though Tom Brady has become a fashion icon over the course of his 18-year career, the Twitter world had fun roasting his pregame Super Bowl outfit. Brady arrived at the U.S. Bank Stadium before the Super Bowl wearing a heavy coat, turtleneck, and sunglasses. Naturally, Twitter was ready to mock him. Brady has a chance to win his sixth Super Bowl on Sunday, but he apparently did not win the fashion game.